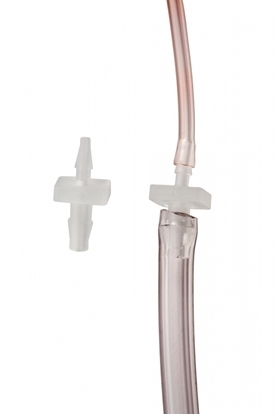 Standard tube connectors in plastic for tubing. 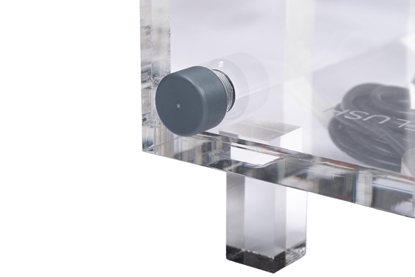 Use this blue nylon Y-piece fitting to connect tubes with an inner diameter of 10 mm. 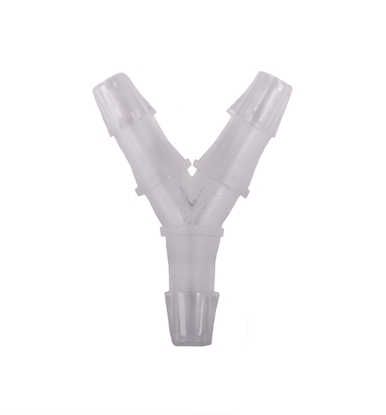 Polypropylene Y-connector for ID 1.5 mm tubing. 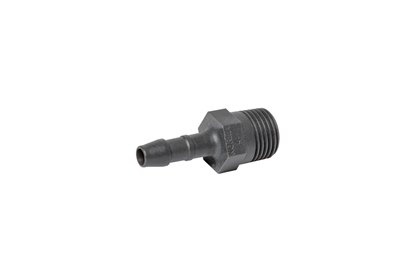 Threaded PVC stopper for sealing fitting ports.